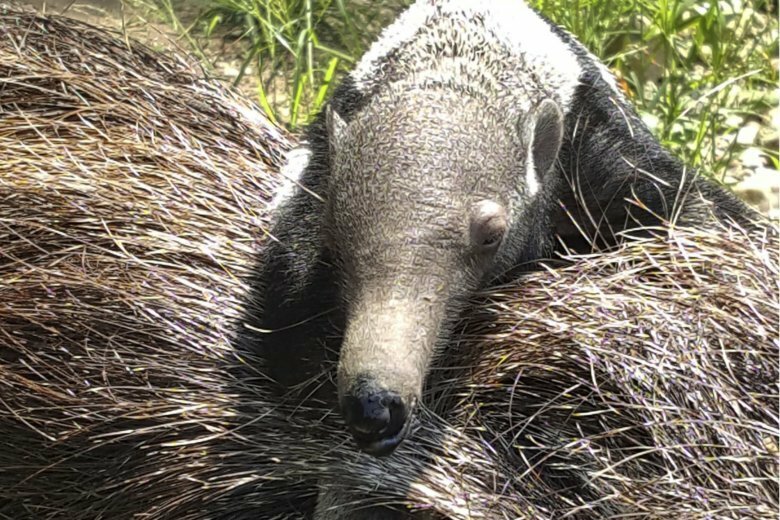 BRIDGEPORT, Conn. (AP) — Connecticut’s only zoo has announced the birth of a baby giant anteater. The Beardsley Zoo in Bridgeport says the anteater was born July 30, is a male and now weighs 9 pounds. The zoo didn’t announce the baby’s name yet. The parents, father EO and mother Pana, were brought to the zoo in 2015 with the hopes they might start a family. They had their first baby in 2016. Mochilla is now in residence at Alexandria Zoo in Louisiana. The zoo says Pana and baby are in seclusion most of the day, with brief forays into the outdoor habitat. Female anteaters give birth to one offspring at a time and the baby rides on the mother’s back for the first several months of life. The public can follow the baby’s growth on Facebook and Instagram .